West Brook winery may not have a particularly memorable name but once you have visited the stunning and serene setting and tasted the wines you will not want to forget it! 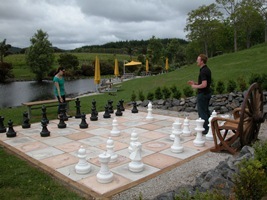 Check out the beautiful setting of vineyards, rolling hills and duck pond, and the giant chess set out the front of the winery. You can buy a bottle and enjoy it in the picnic area next to the pond, play giant chess or even pétanque. It is peaceful and soothing and almost makes you forget why you came – but not quite! The wines! 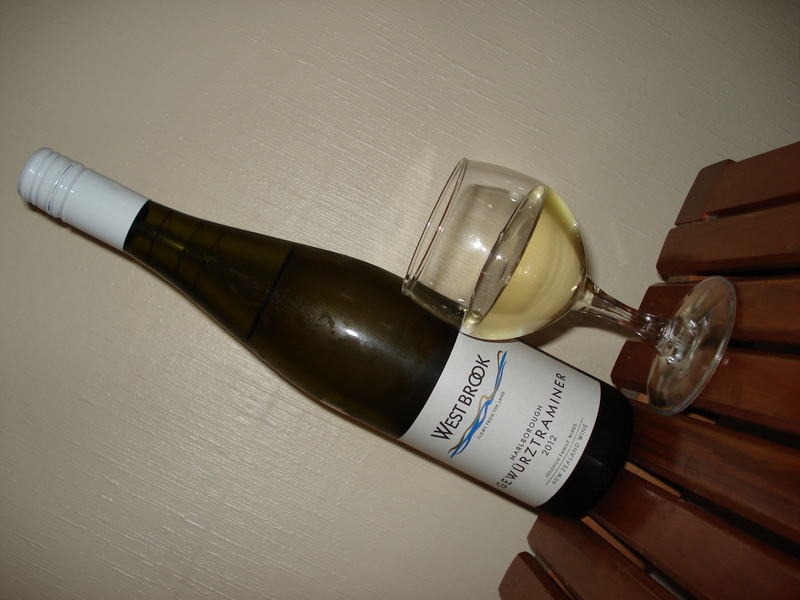 My first taste of West Brook wine was the chardonnay, for which the winery is well renowned, and has won many awards. 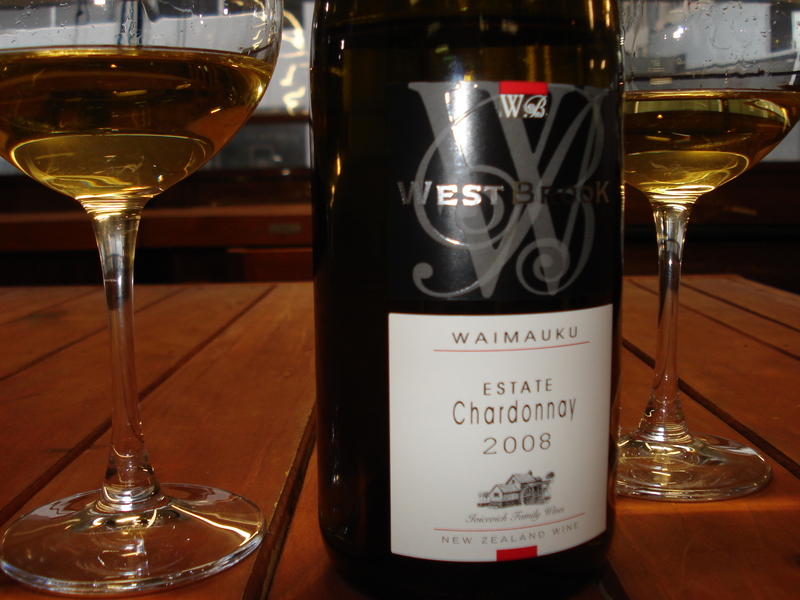 With my buddy Roger I tried the Waimauku Estate Chardonnay 2008 (pictured) at Centre City wine shop in Wellington in 2012. 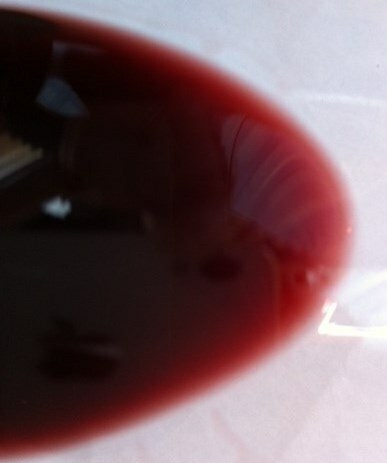 The colour of the wine speaks volumes! Dark golden, oozing with the toastiness of a medium oaked chardonnay, with flavours reminding you of brioche and nougat (as the tasting notes say!) just starting to settle into its age – it could have been cellared much longer, we didn’t want to wait. Chardonnay this good helps you to understand why it is the most widely planted white winegrape variety in the world. Classy, complex, this is a superb addition to any chardonnay collection. 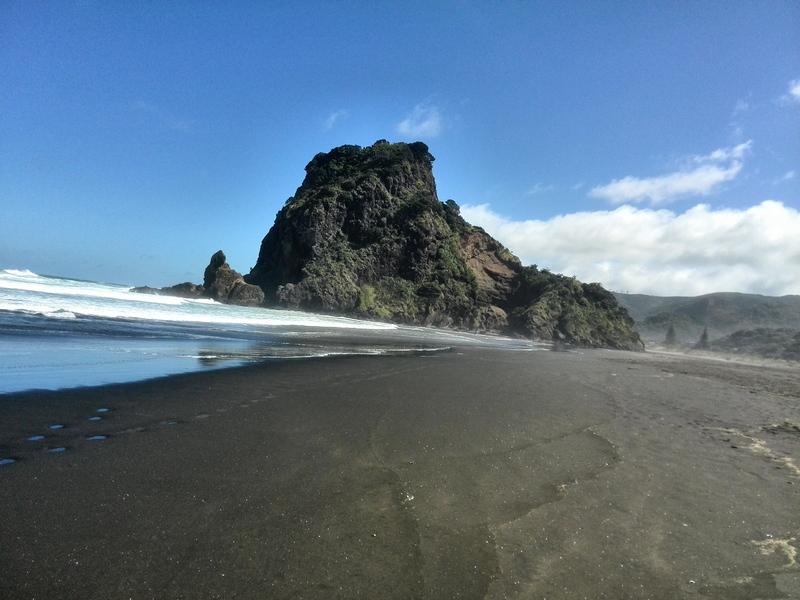 I recently visited West Brook in Waimauku, Auckland, a 30km drive to the north-west of the CBD with my friend Randy Weaver, one of the founders of the famed Coopers Creek winery in Kumeu and now Director of Wine Science at Auckland University. Randy knows the West Brook owner and winemaker Anthony Ivicevich well – they chatted, I tasted! Standouts for me were the chardonnays of course but also the pinot noir from Waimauku – I had never had a pinot from here, and Auckland is not known for pinot – but it was really really good! If you fancy something totally different this is the go! We all love our pinots from Otago, Waipara, Martinborough and Marlborough, but as all pinot lovers will know, this is the grape that most reflects the terroir (climate and soils). So of course the Waimauku pinot would carve out a profile of its own – I bought some and will wax lyrical when I share it with my wine buddy and expert Raymond Chan so watch this space! Back to gewürz – of course! Tigs and gewürztraminer are inseparable as my readers know well. France and NZ produce the best examples I have had to date, with a huge mind-boggling variety of flavour profiles, intensity, age, and style. Why am I so gewürz obsessed? Because it is the most surprising variety for me, varying according to producer and region. It can be light and fruity, dry and spicy, sweet and floral, make an intense dessert wine, or a dry table wine, it can be drunk very young or aged for many years. It is great on its own and an equally superb and versatile food wine. Most of all it is the wine that can really make you groan with pleasure… If in doubt try some of those I have written about here – the famous Hugel and Domaine Zind-Humbrecht versions from Alsace, France, and from NZ, try Johanneshof, Coopers Creek, Brookfields – and West Brook! The reason this wine was a standout for me is its elegance but with backbone. It is very pale in colour (see my wonky photo – arty, not the result of overconsumption!) and has a delicate floral nose with gentle notes of lychee and honeysuckle – then wham! The palate bursts with spice and floods with luscious honeysuckle and baked apple, coating your tongue with deliciousness, lingering on and on to a dry lip-smacking finish. Wow! It is a tighter package than some gewürz I have tried – this one is lithe and toned with no rough edges, generous with flavour then tailing off gently leaving you wanting more. Warning – very easy to drink! I absolutely loved this wine. Many thanks to Anthony Ivicevich for an instructive yet relaxed tasting at the cellar. I came away with a few beauties. More on the pinot at a later date – it deserves its own 15 seconds of fame! How many wineries are there in NZ? There were 703 wineries in 2012, three times more than in 1996. What is the area of vineyards in NZ? In 2012 there were over 34,000 hectares of vines. What types of grapes are grown? Sauvignon blanc accounts for 58% of grapevines planted in NZ. The next three largest vine areas are for pinot noir (15%), chardonnay (9%) and pinot gris (7%). (See Table 1) The New Zealand Wines and Wineries website gives a great overview of characteristics of wine grape varieties specific to NZ – simple and clear and very informative. How much wine does NZ produce? In 2012 NZ produced 194 million litres of wine (down from the peak of 235 million litres in 2011). Where are the wines sold? Sales of NZ wine by value in 2012 (NZ$mn; share of total): Australia (380; 32%), UK (284; 24%), USA (251; 21%), Canada (71; 6%). Bon voyage Tigs! Any tips? As I prepare to leave Australia after seven years, friends in Adelaide are asking me which wines I think are the best of the bunch that they can buy here. I believe this is a safe list with some interesting wines at all price levels. Try something you hadn’t thought of – travel broadens the mind – so does trying different styles and varieties of wines. Wine stores can be confusing, overwhelming and intimidating places. They are a mine of information, jewels to be discovered and minefields to avoid. I could write reams on the topic, but have aimed instead for practicality and simplicity, to share my pick of the crop, the obvious caveat being that I have not tried all of the wines available – an immense task in itself. I have listed wines that can be easily acquired in Adelaide. The slant here is mostly towards South Australian, NZ and French wines because that is what is available in Adelaide. Also, I have limited knowledge outside these regions – for now! I am not an expert, I am an enthusiaist and as such love to share my snippets of information about wine. Methods, vintages, winemakers and labels change over time though so beware! I have listed some excellent all-round wineries, and then listed wines by grape variety as an easy reference. Don’t be afraid of whether a wine is a varietal (one grape only) or a blend of more than one grape. This is not an indicator of quality. Note: the locations given for the wineries are not always where the grapes are sourced. Langmeil (Barossa) – excellent red and white wines, with traditional style winemaking. The second oldest winery in Barossa, with the oldest shiraz vines in Australia and possibly the world. The whole range is good to excellent – including grenache and cabernet sauvignon. See Sprinting the Long Mile! for the whole range and some pics. Yering Station (Yarra Valley, Victoria) – impressive and elegant pinot noir, chardonnay, sparkling wines, shiraz – everything! Most famous for the shiraz viognier (about 5% viognier, a traditional French blend). See Chill out and get serious in Vic’s Yarra Valley for more of the range and some pics. Penfolds (South Australia) – an iconic winery for Australia, famous for reds that age well. Grange is the obvious star, but at a much more attainable price I recommend trying the Bin 138 (a Rhône blend) for great value and wonderful flavours – and exceptional aging potential. I opened my 2002 Bin 138 this year – smooth, complex, elegant and long. For an excellent value shiraz try the Marananga. The cabernets are also exceptional – Bin 707 at the top, Bin 407 very good at the next level. Chandon – sparkling wine made in the style of French champagne (owned by Moët & Chandon). Very good white and rosé sparklings, cheap relative to quality. See Yarra Valley article. Hugel – this is a French winery in Riquewihr in Alsace. Excellent aromatic wines made from gewürztraminer, riesling, pinot gris and pinot blanc. My personal pick is the gewürztraminer and I blogged this ‘Alsatian Sensation’ specifically – and added some gorgeous pictures of Alsace. It is stunning. In Adelaide, you can also get the riesling and the white blend named Gentil (French word for ‘kind’) – a cheaper option, elegant and aromatic. The other stunner I am familiar with from Alsace is Domaine Zind-Humbrecht – their gewürztraminer is one of the best I ever had. Bird in Hand (Adelaide Hills) makes a very good sparkling – slightly blush coloured, always good value. I was also impressed by the chardonnays and shirazes – there are no bad wines here, and at reasonable prices. Check them out here. NZ wineries with unwavering quality: Villa Maria and Babich, both started by Croatians. Both make exceptional white varietals: sauvignon blanc (take care to avoid fake brands, they will put you off sauvignon blanc forever! ); chardonnay; pinot gris – round and soft and aromatic, lovely fruit, dry finish; and gewürztraminer. Both make good red wines too. Villa Maria makes amazing syrah (cool climate style of shiraz). Babich pinot gris is beautiful – I bought it from Fassina at $17 a bottle . Villa Maria sauvignon blanc was a similar price – strongly recommended. Lawson’s Dry Hills (NZ) – Another safe winery from NZ is Lawson’s Dry Hills. In particular the gewürztraminer is dry, fruity, aromatic, with lychee and Turkish Delight. An interesting, crisper, fresher style in contrast to those from Alsace, France. Pertaringa (McLaren Vale) – this is one of the best wineries in McLaren Vale, with a combination of friendly and knowledgeable staff and very good wines. The whole range is worth trying. Bremerton (Langhorne Creek) – all excellent wines, and very good value. Famous for the Old Adam Shiraz, although I was even more impressed by the cabernet sauvignon. The entry level cabernet is very good value and the reserve is about $50 – worth $100 – perfect for a treat or an exceptional gift. There is a great sparkling shiraz too. Lake Breeze (Langhorne Creek) – excellent wines, especially the cabernet sauvignon. Good value range. Geoff Weaver (Adelaide Hills) – very good sauvignon blanc, pinot noir and chardonnay. He was the chief winemaker at Hardy’s before going out on his own. 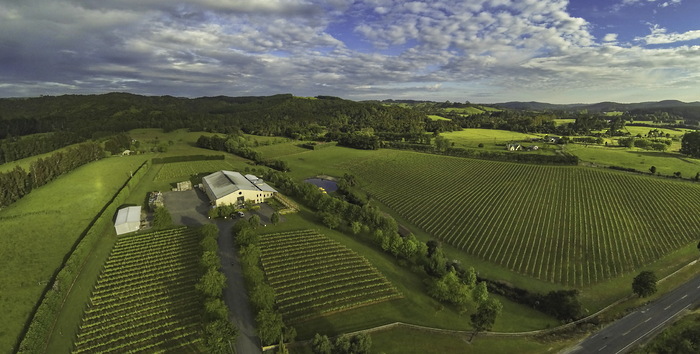 BK Wines (Adelaide Hills) – a New Zealander making wine in the hills. His range of chardonnays is exceptional as is his syrah. The whole range (see here) shows elegance and lets the grapes shine through. D’Arenberg (McLaren Vale) generally good, very large range (see range here). Best value whites – Olive Grove chardonnay, and the Money Spider and Hermit Crab – made from Rhône grapes of viognier, marsanne and roussanne. The cabernet sauvignons, shirazes, and red blends are all good. Clonakilla (ACT) produces exceptional wines particularly the shirazes. Amazing overseas wineries whose wines you may come across include: Guigal (France), Sassicaia (expensive Super Tuscan beauty from Italy – super what? read here…). My pick of French champagnes are Bollinger (with oak fermenting – rare in Champagne), Pol Roger and Taittinger (who use a large portion of aged reserve wines). Piper Hiedseick is good value. I am not an expert in Bordeaux, but it is worth spending a bit extra to get assured quality. Try a bottle of Haut-Medoc – I have never been disappointed. For a riesling treat – try Dr Loosen from Germany – iconic riesling producer. White sparkling (Australian): (chardonnay, pinot noir) Bird in Hand, Yarrabank, Chandon, Jansz, Oyster Bay. Red sparkling (Australian): (shiraz) Bremerton, Seppelt’s original sparkling shiraz, Barossa Valley Estate E&E Black Pepper, Peter Rumball; (merlot) Irvine, Tapestry; (red blend) Primo Estate ‘Joseph’; (chambourcin) d’Arenberg ‘Peppermint Paddock’. South Australia: Penfolds, D’Arenberg Olive Grove; Leconfield; Bird in Hand, BK Wines, Geoff Weaver. Other Australia: Kooyong Clonale, Xanadu, Yering Station, Pierro (YouTube), Leeuwin, Vasse Felix. NZ: Kumeu River, Greywacke, Cloudy Bay, Dog Point, Villa Maria, Oyster Bay, Babich. South Australia: Geoff Weaver, Bird in Hand, SC Pannell, Hahndorf Hill Winery. 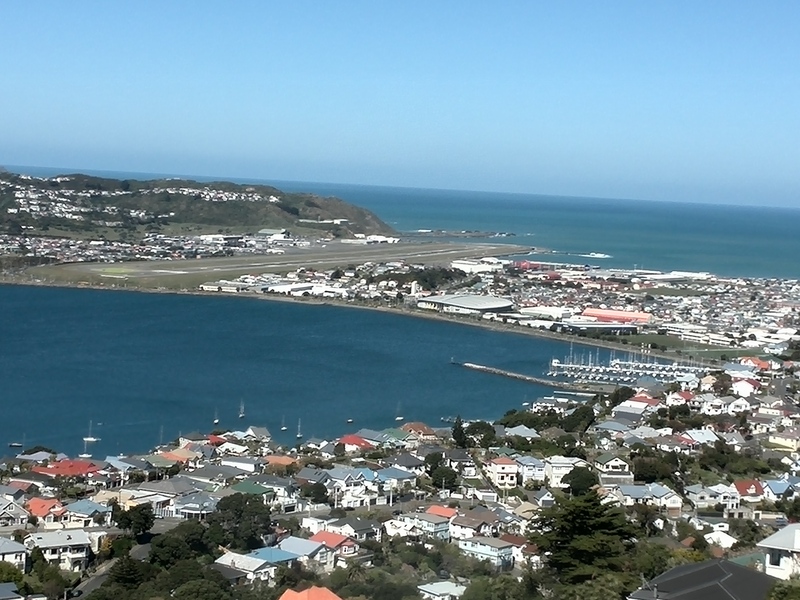 NZ: Villa Maria, Oyster Bay, Babich, Greywacke, Cloudy Bay, Dog Point, Isabel, Astrolabe. South Australia: Pauletts, Skillagolee, O’Leary Walker, Geoff Weaver, Grosset. NZ: Villa Maria, Oyster Bay, Babich, Greywacke, Cloudy Bay, Dog Point. Other: Hugel (France), Dr Loosen (Germany). South Australia: Langmeil, Penfolds, Bremerton, Dutschke, Barossa Valley Estate, Chateau Tanunda, Serafino, Bird in Hand, Pertaringa, Kay Brothers, John Duval, Bethany, d’Arenberg, Hahndorf Hill Winery. Other Australia: Yering Station, Mount Langi Ghiran, Clonakilla, Tahbilk. NZ: Destiny Bay, Villa Maria, Craggy Range, Te Mata, Murdoch James. South Australia: Penfolds, Bremerton, Lake Breeze, Leconfield, Langmeil, d’Arenberg, Taylor’s ‘Jaraman’. Other Australia: Moss Wood, Pierro, Leeuwin, Howard Park. NZ: Church Road, Craggy Range. South Australia: Penfolds Bin 138, Langmeil, Charles Melton ‘Nine Popes’, d’Arenberg – range of varietals and GSMs. Other Australia: Yering Station, By Farr, Farr Rising. NZ: Amisfield, Pencarrow, Palliser Estate, Martinborough Vineyard, Gibbston Valley, Isabel, Mount Difficulty, Roaring Meg, Babich, Oyster Bay, Neudorf, Stoneleigh, Cloudy Bay. James Irvine (Barossa) merlot/cabernet franc (50/50 blend) – smooth, full, great value. Paracombe (Adelaide Hills) pinot gris – aromatic, rounded, fruity, dry finish. Pertaringa (McLaren Vale) aglianico – Italian red, fruity and tannic. Tar ‘n’ Roses (Heathcote) nebbiolo – drink about 6-8 years old. Will blow your mind. Turkey Flat (Barossa) mourvèdre – rich, dark, brooding. Delicious. Waywood Wines (McLaren Vale) nebbiolo – savoury, complex, a rare treat. All the gewürztraminers listed above! All those listed are dry and spicy and fruity. Never write off a wine until you have tasted it for yourself – you may be missing a treat. Drinking wine should never be boring! Get to tastings, ask questions, and like what you like – don’t let others tell you what to like. Caveat: This is unavoidably a subjective article. These recommendations are mine alone. I have no sponsors and no freebies and no hidden agenda. I simply hope readers find something new and rewarding to enhance their wine repertoire! The wines I have listed are those I trust. There is no particular order in the lists. I have deliberately not included prices as they will vary widely over time and between stores. There will be omissions of wines I tried a while ago and cannot be confident about recommending now, there will be some I have forgotten and many more that should be on the list but I haven’t got round to trying yet. Some I did not include because I do not rate them – but will not mention these. This is a snapshot of what I would recommend to friends. I worked in specialist wine stores in Brisbane and Adelaide, on the wine-tasting panel for Fassina stores in Adelaide, worked a vintage, a taster for Delegats and worked in a range of wine research, including wine economics, for the University of Adelaide. I have visited wineries across France, NZ and Australia and tried wines from all over the globe. Read about Fassina here – their history and what they are doing now. Wandering around the streets of Adelaide near the iconic Central Market on Gouger Street I happened across a new icon – the Marquis. Glancing inside I was stunned by the sight of the wine wall stretching down the middle of this French-themed restaurant and wine bar – although don’t be fooled, it has an impressive beer and spirits collection too! What makes you decide which wines to buy in? Chi: The first thing would be the market. We can get thousands of wines from around the world from our suppliers but what we buy is more market driven. People in Adelaide are still going more for Australian wine, especially their own South Australian wine. Shiraz, riesling, sauvignon blanc, chardonnay, and cabernet sauvignon are the varieties that are the most popular at the moment. But because we also want something more unusual, something they may never see otherwise, like some of the Austrian grüner veltliners or the German rieslings, or some Spanish or Chilean wines, we have a selection of those. Around 60% of our wines are Australian. Of course there is nothing wrong with the Australian wines, they are all good, but if you drink the same kinds of wine every week you might get bored. There is a good chance to come here and try something a bit different, something that is quite hard to get in the market. What are some examples of interesting wines you have here? Chi: We have a selection of Austrian grüner veltliners, which is quite popular in Sydney and Melbourne but unusual to see it in the Adelaide market. I am personally from Sydney so I know a bit about the market there. Also some of the Italian white wine that people have probably never heard of like trebbiano and erbaluce. With the red we are a restaurant with a French background so we have a fairly big focus on the French red wines. We do have a fair bit of good quality Burgundy, and French champagne of course – even with the champagne, people might get bored with the same ones, so we do have a selection of grower champagnes as well. What is a grower champagne? Chi: This is where the people grow their own grapes, and then make their own champagne. Examples would be Jacques Picard, Jacques Selosse and Vilmart, just to name a few. So for example, Möet would buy most of its grapes from the growers to make their champagne. Like Penfold’s Grange, they do not grow their own grapes, they buy from the growers. Something like Bollinger would be a negociant champagne. On the label you can see if it says NM it means it is a negociant champagne, if it is RM it is growers champagne. There are seven classifications but these are the two you see the most. Detecting a mild accent, I asked Chi where he lived before Sydney. Hong Kong he said. Aha! Hong Kong is the hub of the wine trade in Asia, since there is zero wine tax in Hong Kong so you pay no tax when you buy alcohol. Plus most of the wine buyers will go through Hong Kong because of the wide reach of contacts in the market. In a place whose name means ‘fragrant city’ it is appropriate that it be the hub of trade for a product that enlivens the senses. Have you got any Chinese wine in yet? Chi: No, the industry in China is still at a primary stage at the moment, they are still learning, and they have a range of the more obscure varieties. In 30 or 40 years, there will probably be something iconic coming out of the region but not for the moment. Back to the Marquis, in your role as a sommelier, when people come in for meal, do you automatically come over to talk to them or do they have to ask see a sommelier? Chi: It depends – we can see when they walk in how they look at the menu, what questions they ask, as to their degree of wine knowledge. They may look at the wine list and be a bit flustered so we may go over everything, but obviously some of the guests are quite knowledgeable and pick out whatever they like. We need to be flexible. We usually wait until they have ordered their food and we try to get one or two bottles to match with their food. There are also 32 wines available for purchase by the taste (30ml) or glass (150ml), which on the day I visited included French champagne, French red wine (Côtes-du-Rhône), Argentinian cabernet sauvignon, Italian Soave, and some iconic Australian wines. As well as over 700 wines, there are more than 100 spirits including whiskies from Scotland, Ireland, Canada, Sweden, India, Australia and the USA; aperitifs, brandy, rum, gin, vodka, tequila and liqueurs. And fear not beer lovers, there are over 60 beers from all the world! Take a look at the photos below of some of the wines you can buy to drink on the premises or to buy retail (at a 20% lower price). To see the full collection, treat yourself to a visit! Come in for a champagne breakfast or a light lunch, full dinner or nightcap at the bar. Many thanks to Chi for taking the time to talk to me. My birthday this year was special – not for turning another year older, but for the kindness and inspiration shown to me by someone I recently met. 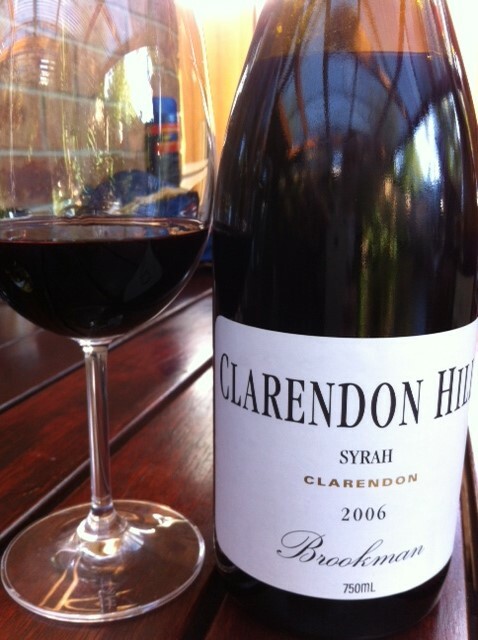 Basic human goodness can be more beautiful than any wine – even a Clarendon Hills! Wine is the lubricant of a social occasion, a luxury to enjoy with or without food and with or without company, a wonderful gift, and a companion to the lonely. We all have memories of special bottles because they remind us of someone or an event or a time when we were happy, or a bottle that we trust. Then there is: ‘wine and friend pairing’. 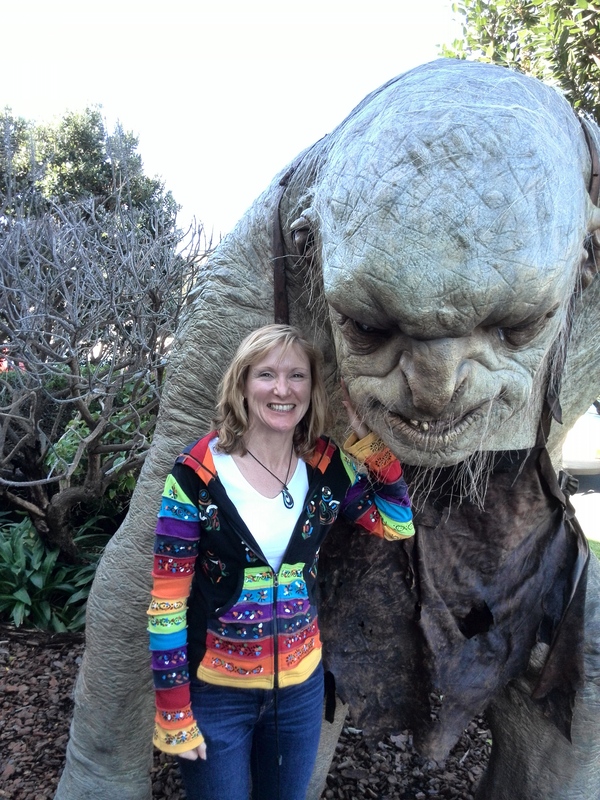 In 2002 I was living in Wellington, New Zealand, and was keen to learn about wine. I attended a tasting of Australian reds with a friend – my wine guru Roger. He told me to try certain wines first because as the evening wore on the best wines would run out first as those in the know employed the same tactic. He led me to three tables with amazing wines that have stayed with me – the Mount Langi Ghiran shiraz from Victoria, the Irvine Grand Merlot from the Barossa, and three single vineyard syrahs from Clarendon Hills winery in the Adelaide Hills. I was blown away by them all and my passion for wine was fired. Since moving to Adelaide in 2007 I sampled many wines from Irvine, and met the man himself. I also partook of several bottles of Mount Langi Ghiran shiraz over the years. But the obvious gap was the third winery at that tasting. Imagine my surprise when this man from Clarendon invites me to a barbecue and produces a bottle of 2006 Clarendon Hills Brookman Syrah. Not only was I shocked because it is not cheap at around A$100, but even more so that he had remembered what I said and wanted to do something special for me. Now I get to the crux of why I am mentioning all this. This man of advanced years is currently undergoing chemotherapy after a second cancer scare. When I met him he had just come from the hospital having had chemotherapy treatment. He told me after our first chance meeting that having a nice chat with me that day had brightened his mood. He had laughed on a day when he hadn’t expected to, and he came home happy. What a wonderful thing to have done, yet I didn’t realise it at the time. It just shows that being friendly is far-reaching and can mean so much. Not only is he fighting cancer himself – the prognosis is good thankfully – but he lost his wife to cancer just a few years ago. Yet his whole outlook is sunny and positive and even more astounding – he oozes compassion for others and loves good company. He could see that I was having some problems of my own and wanted to do something nice for me. It was heartfelt and pure, just to make me smile. My friendliness to him lifted him, his kindness to me lifted me. At first sight you would have thought that both of us were problem-free because that is how we both choose to present ourselves to the world. This has shown me that we all have a story, we all have a cross to bear because that is life. But we can all still put on a smile and show kindness and compassion and be a companion. That is what matters. We can then cope better with the harshness of life and help others to do the same. Thank you to my friend, the Brook man from Clarendon. And now to the Brookman from Clarendon Hills! An excellent wine from one of Australia’s very best wineries, this cool climate syrah – cool by Australian standards, not global! – at seven years old was still lively yet brooding. A mesmerising deep dark crimson in the glass, complex and tantalising on the nose with spicy blackberry and raspberry, soft leather and a hint of liquorice. There were definite aged characters developing but this spring chicken of a wine still had many years left. Never mind! The wine was savoury and dry and long – three of my favourite characters in a good red. The dark and intense fruit flavours were complemented by dried herbs and gentle spice, the mouth assertively massaged with notes of leather and soft grain tannins. Smooth but not shy, it softened in the glass. Blimey!! Unfortunately it is also not cheap and outside the realms of most of us mortals. The Brookman however is an attainable treat. Best wishes to my readers. My readers know that I am a lover of gewürztraminer, especially the great producers of Alsace and New Zealand. If in doubt see the articles for Hugel, Brookfields and Coopers Creek. I haven’t indulged this passion for a while so it is time! 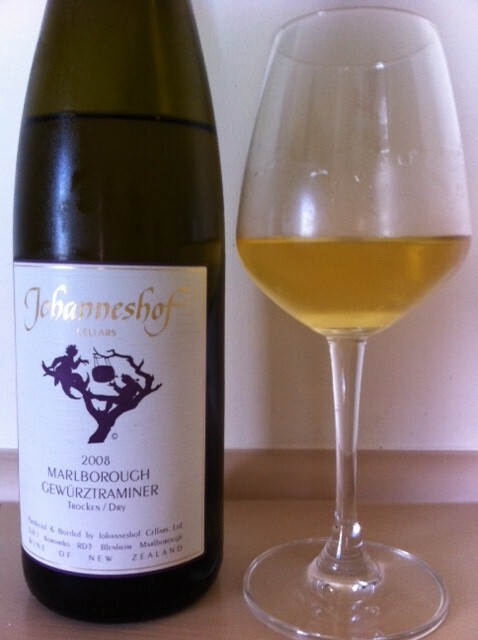 On my recent trip to NZ the good man Dean at Centre City wine shop in Wellington recommended the Johanneshof 2008 dry (trocken in German) gewürztraminer from Marlborough. I generally prefer the drier styles of gewürztraminer – anyone who tells you it has to be sweet is – how shall we put it – wrong! Of course a touch of sugar is left in the winemaking, as it is with the Alsatian examples like Hugel, and this helps keep the palate soft and luscious – but the palate detects very little sugar, just fruit weight and full mouthfeel. Check out the beautiful deep sparkling golden colour on this five-year old wine. The nose just blows your mind – it is lifted and perfumed, bursting with dried stonefruit and cherry blossom, with lashings of lychee and Turkish Delight. There are sturdy secondary characters of ripe juicy fleshy peaches and herbs, with an edge of minerality and tinge of smokiness. Since it has had no oak, my guess is that the smoky touches have come from the yeast strain(s). Please correct me if I am wrong – I am an enthusiast not an expert. On the palate it is up there with the best gewürztraminer I have ever had – and I have had more than I can remember. The stonefruit comes through with honeysuckle and dried herbs and the gentle minerality. It is luxuriously soft and long, a peaches and cream treat with complexity and class. I groaned many times drinking this wine. Mmmmmm!!! The winemakers trained in Germany and it shows, as this is reminiscent of the Alsatian aged beauties I have tried. The fruit quality is outstanding and winemaking masterful, allowing the wine to display its amazing qualities like a strutting peacock. It can show off to me any time! This wine was perfect with matured cheeses, nuts and dried fruits. It would also partner well with spicy food. Or just drink it on its own.